The all new Pryme-8 V2 Lite Helmet weighs a mere 300 grams! How did they do that? 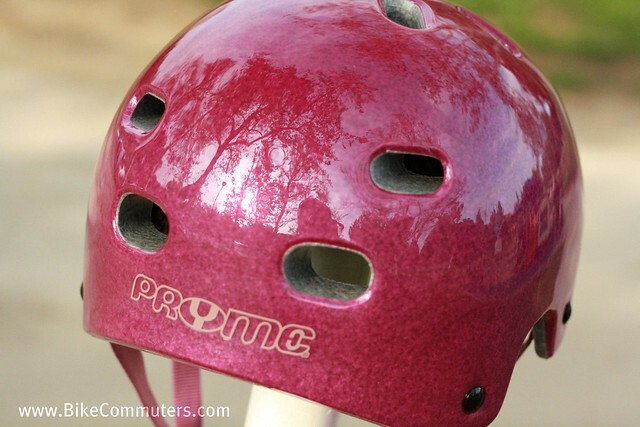 !By using In-Mold technology, Pryme was able to cut their helmet weight in HALF – yet still maintained its CPSC tested strength. The look of the new V2 Lite is further enhanced by the unique transparent colors that are derived using the in-mold process. I was excited to try out the new Pryme V2 Lite helmets because I’m actually a big fan of “skater style” helmets. One of my biggest complaints with the brands that I do own is that they are pretty chunky. 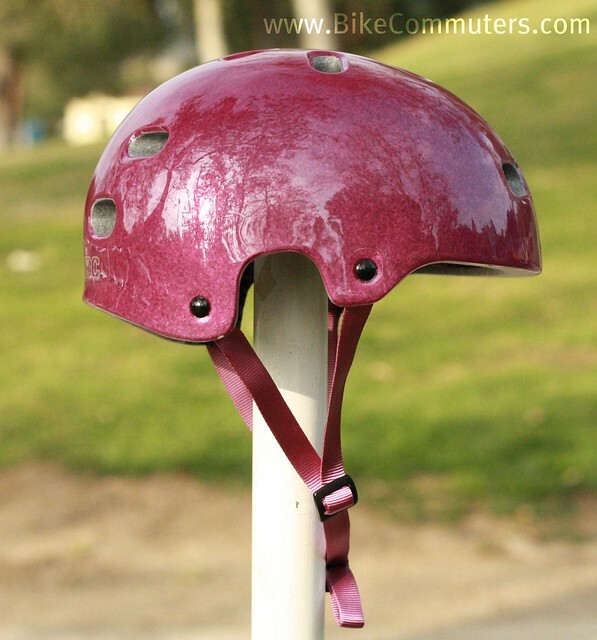 Even with the straps cinched down comfortably, the helmet can and will shift on my head. I’ve used brands such as Bell, 661, T.H.E and Free Agent. The first and immediate difference I found with the Pryme V2 Lite was its weight. 300 grams is nothing compared to the weight of the competing helmets that I’ve mentioned. It’s so light that while I was riding with it, I almost forgot that it was on my head! The inner pads fit just fine. I actually prefer the Pryme (pads) over the pads you’d get with other brands because they are thin yet comfy and you don’t have that wet mess touching your head while you’re riding. What I noticed with these pads is that they actually dry pretty quick. Plus, you can easily hand wash them in the sink and voila, fresh helmet! With some skater helmet brands, the pads are way too thick and act much like a kitchen sponge, which is gross because when you’re sweating, bacteria will get trapped in there and start to smell after a while. Have you noticed the bright colors that they sent me? Pinkish-Purpley (but they call it trans-purple) and Red! Wow! Not only does it speak visibility, but it looks good. The plastic shell they used is very similar to what you’d see in standard road/mountain biking helmets. It’s thin enough where it doesn’t weigh anything, yet its tough enough that if you were to drop it or drag it on the ground that the shell wouldn’t disintegrate. My biggest grip with this style helmet would be its breathability. Pryme addresses this issue with 13 large vents. Most brands only offer 12. So am I saying that the extra vent makes a difference? Possibly — because I wasn’t all drippy with a sweaty head during the testing period. Then again, I’m sure the cooler weather had something to do with it. However, the large vents do work because I can feel the air passing through them as I rode. What kind of person should be wearing this helmet? That all comes down to personal preference, but if you’re a bike commuter, mountain biker or even a BMX rider, this is a great helmet! The biggest selling point for Pryme is that it barely weighs anything, only 300 grams. What I think is that the color options Pryme offers make it even more appealing to both men and women as well as children. I simply love it and my since the wife said I can’t wear the pinkish-purpley helmet anymore, my daughter loves hers too! By the way, they even offer a reflective version. Let’s presume that helmets are a good thing. (I don’t want to get into that discussion here.) 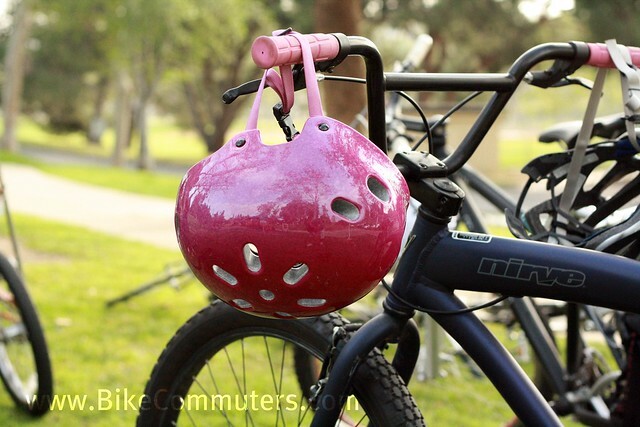 Less weight = less helmet. Does this mean less protection? Which tests do these helmets pass? I’m still waiting for a full face commuter helmet. I’d love to see Pryme put something lightweight together. A cross-bred Pryme-8 V2 Lite and Prime AL for example – something practical, reasonably vented, able to provide full face coverage, and with a bit of urban style. I was just reading up on helmets for 2011 — from the same site referenced by Ghost! — and saw that the skater style helmets “with the rounder, smoother profile that [this site] thinks is best when you crash” (http://www.bhsi.org/helmet11.htm). Have you tried Nutcase? I was just at the Seattle Bike Expo and looked at both Pryme and Nutcase. Not sure I’m a fan of the skater style, but less ventilation could actually be a plus during winter for a little additional warmth when I’m not as worried about sweat (because it’s freezing). Just wondering how Pryme compares to Nutcase; I hadn’t heard of Pryme before the Expo. From what I noticed, Nutcase helmets are much like the standard “skater” types with the thick, hard plastic shell, thus way heavier than the Pryme. The only thing that makes Nutcase stand out is their fancy designs. By design, I mean the laminate they use on the shell for the images such as flowers, stars and etc. 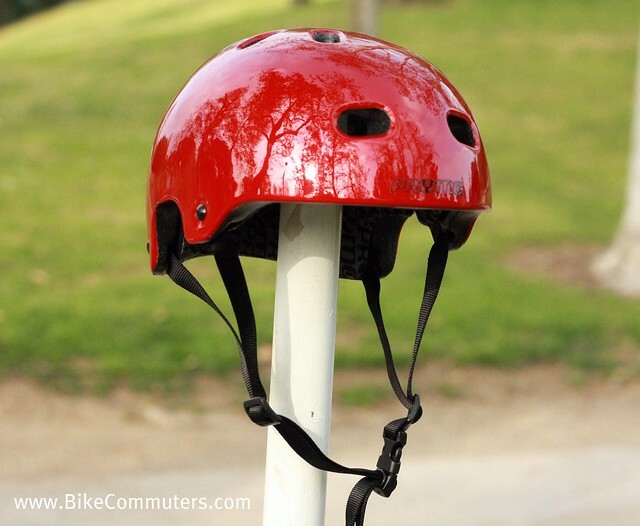 Barb’s got a good point about skater-style helmets in winter…some of these can be extremely oppressive in the heat, but once the cold weather rolls around, a helmet with less ventilation is quite nice. A lot of these helmets have extra room for a balaclava or other head covering, too. I’m surprised and a little excited that the V2 passes the Australian safety test — the site I linked to above seems to hold the Australian standards in high regard. The reflective version is a nice touch. I liked the reflective helmet as I commute in the dark quite often. I did a Google online shopping search for the reflective helmet and could not find an online retailer. I could go to the store retailers (listed on the Pryme web site) in my area, but suspect all they will be able to do is order one for me. 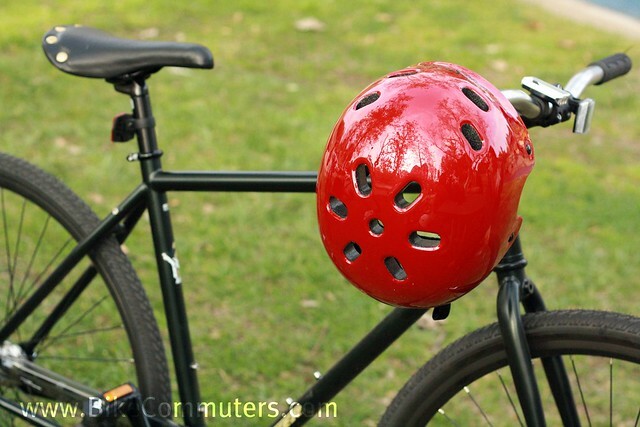 Would prefer to get a helmet from someone who has it in stock or work directly with the Pryme. Not enough time in the day to be running around from store to store. I typically shop online for these days to save time a get better variety. In many cases also less costly. I’m sure they can recommend a dealer near you.